1,700 miles walked, Bluebell Bus not well! Founder of Daft as a Brush Cancer Patient Care, Brian Burnie, left Newcastle on 5th March 2018 to walk the coast of Great Britain and Ireland to promote and expand the Gosforth based Charity nationwide. 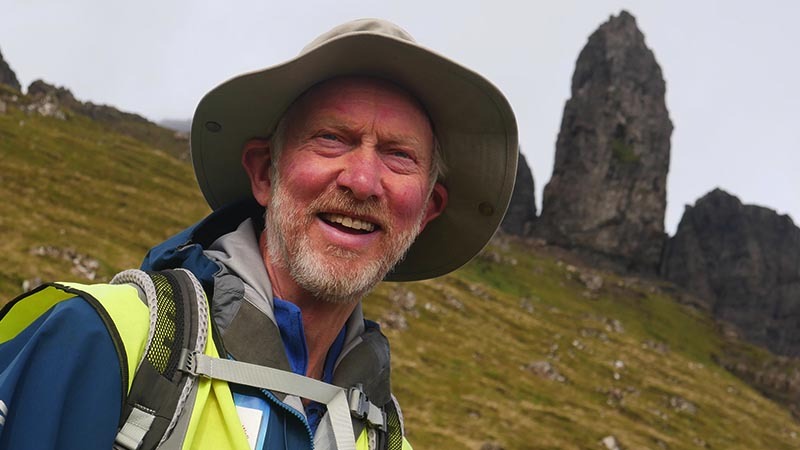 The Isle of Skye has been extra-special for Brian; He married traveling partner Cheryl on the island 4 weeks ago and after 300 miles walking the coastline, the 74 year old has racked up 1,700 miles to date. Brian and Cheryl’s home for the two-year walk is Bluebell Bus; donated by Stagecoach and wrapped in the Daft as a Brush branding, Bluebell has all the essentials for life on the road. 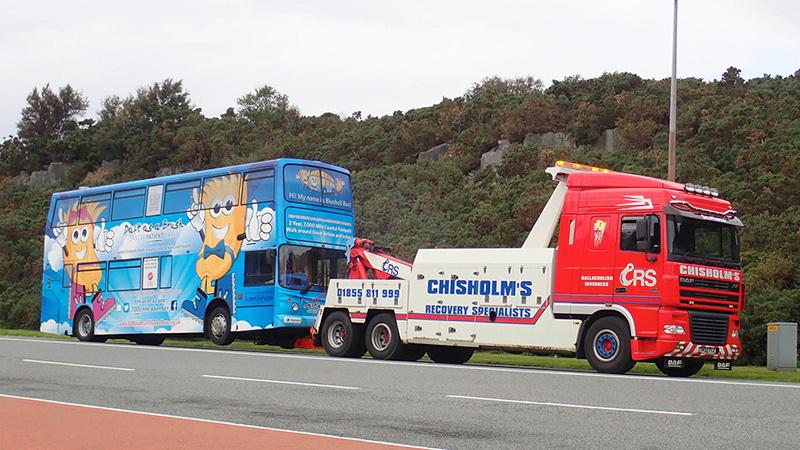 But a recent breakdown has been difficult for the couple; “Our brilliant driver Tommy Watson, came to move Bluebell Bus to Fort William, but she suddenly stopped on-route. Stagecoach came to our rescue but the issue wasn’t a simple road-side fix. She’s been taken to Inverness where their experts are working on her now.